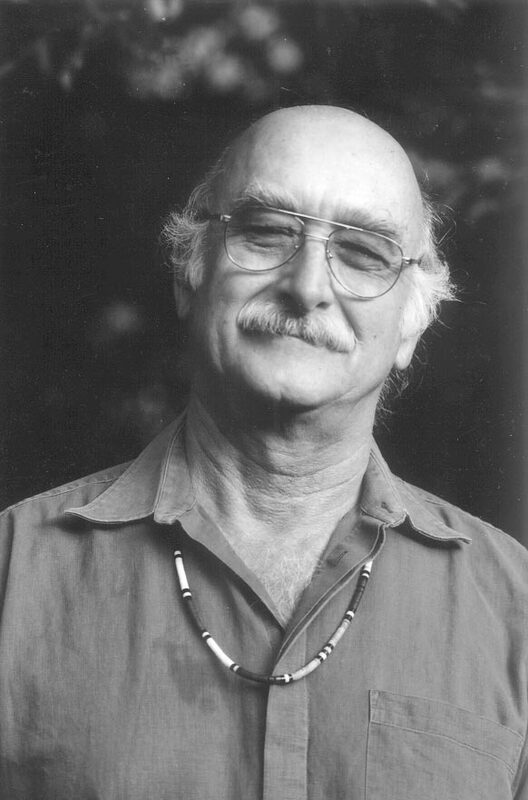 It is with deep sadness that we note the passing of former Sonoma County Poet Laureate, Mike Tuggle. As a poet, a mentor, and a friend, he touched many of us in the literary community. He will be long remembered and deeply missed. I first met Mike and his second wife, Susan Kennedy, when I began working with the California Poets in the Schools Program in 1991. Over the years, our paths crossed often at poetry readings and literary gatherings, especially during the years he served as Sonoma County Poet Laureate. Then in 2011, Mike’s book of poems What Lures the Foxes was selected for publication by Kelly’s Cove Press, coming out simultaneously with my book, giving us many more opportunities to read our poems together. Mike had a deep appreciation for music and rhythm, which he brilliantly harnessed in his poetry. He had a gentle wisdom, accentuated by his lovely Oklahoma/Texas drawl, and a calming presence I always appreciated. Mike was born in Tulsa, Oklahoma in 1939, and grew up in West Texas. He lived in Sonoma County from 1981 until his death on June 18, 2017. He taught with the California Poets in the Schools Program from 1971-2003. His publications include Cazadero Poems, co-authored with Susan Kennedy, Absolute Elsewhere, The Singing Itself, What Lures the Foxes, and most recently The Motioning In. His last day was a full one, like his Sagittarius nature loved. First to his open mic in Guerneville, then to the Cazadero Farmer’s Market and the General Store, checking in with the lovely ladies. Then a visit from his grandchildren with Grandma Margo before they went swimming at the creek below his cabin. Then watching a movie with Jai, a favorite activity. That was the last time anyone spoke to him. When he was late showing up for Father’s Day dinner at Lilah and Ishi’s, Ishi and the kids drove up and found him, lying on his couch with an incredibly peaceful, profound look on his face. When I asked Jai what movie they had watched he said “It was about an old man who waiting to die and then he did.” He was suffering greatly with all his infirmities and we are ultimately grateful that he has been released from them although we are all grieving very hard, facing the big hole he leaves in our lives. About poetry, Mike said “A good poem hurts you a little,” and while that is certainly true of Mike’s poetry, there is also a warm, honest, and guileless vision that takes you by the arm and walks you through our common human experiences of loneliness, coupling, uncoupling, grief, and pure animal joy. At the end of this month’s post, I have included two poems from his most recent collection. 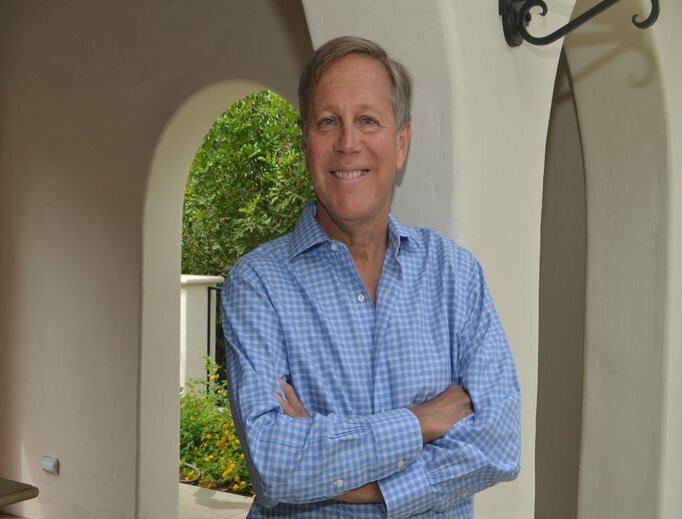 It is with great pleasure that we will be welcoming Dana Gioia, Poet Laureate of California and former chair of the National Endowment for the Arts for a reading in Marijke’s Grove at Paradise Ridge Winery (see July 16 on calendar). 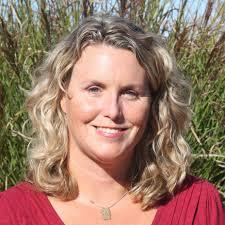 Mr. Gioia will be joined by Iris Jamahl Dunkle, Poet Laureate of Sonoma County, as well as student champions from Poetry Out Loud. Both Mr. Gioia and Ms. Jamahl Dunkle will be available to sign books after their readings. Poetry is the sculpture of language, words coming together to form an artful display of emotion, truth, and beauty. That’s why we’re so excited that this event will be taking place within our current sculpture exhibition, Geometric Reflections, at Paradise Ridge Winery. We hope to see you there! The first is on Tuesday, July 11, 7:00-8:00 p.m., featuring William Haigwood, Davenport; Marian Lindner, The Witch Lineage; S.C. Alban, A Life Without Living; Roger DeBeers, Murder is Forever. The second is on Tuesday, July 18, 7:00-8:00 p.m., featuring : Jan Ogren, Choose Life: Poetry, Prose and Photography; Dorothy Rice, The Reluctant Artist: Joe Rice 1918-2011; Kay Mehl Miller, Ring Around Reality; John Freedom, Heal Yourself With Emotional Freedom Technique. The third is on Tuesday, July 25, 7:00-8:00 p.m., featuring: Alex Moores, Living in Water; Susanna Solomon, More Point Reyes Sheriff’s Calls; Cathy Wild, Wild Ideas—Creativity from the Inside Out; Jean Wong, Hurtling Jade And Other Tales of Personal Folly. Some of you may be familiar with the quarterly reading series called Get Lit, hosted by Dani Burlison and Kara Vernor, and now at its new venue at the Aqus Café. On Thursday, July 13, 7:00 p.m, Get Lit will feature Brian Boldt, Frances Lefkowitz and Lorelle Saxena. An open mic follows (five minute limit). Aqus Cafe, 189 H Street, Petaluma. 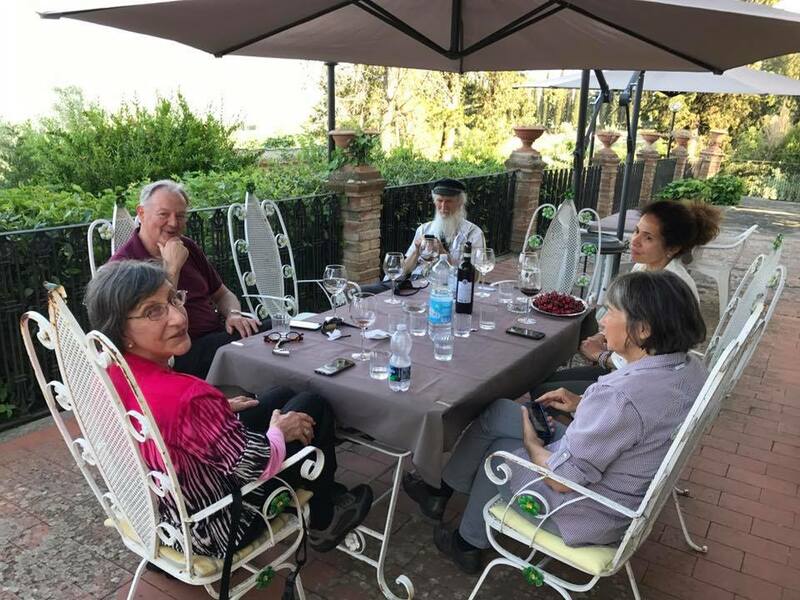 Last month, Jo-Anne Rosen mentioned that I would be away in June, and for the first two weeks, I had the pleasure of leading a small group of travelers on a literary tour and writing retreat in Tuscany. We stayed in a private villa south of Florence, visiting various hill towns in Chianti, as well as Sienna and San Gimignano. We had three days touring the city of Florence, then headed off for a weekend in Ravenna. One of the literary focuses of the tour was Dante, and several of the travelers had been reading Dante’s Inferno and Purgatorio with me at the Sitting Room. Though Florence was Dante’s beloved home, Ravenna is the town that welcomed him in exile, where he wrote the Divine Comedy, where he died and is buried. On our return, we visited the sanctuary of La Verna, high in the Apennines, and Bramasole, the home of Francis Mayes in Cortona. In our final days we visited Assisi. Some mornings and evenings, we wrote together in the salon of the villa or out on the terrace. Other days our writing was “plein air,” set in an inspirational spot, such as the woods of La Verna, the cloister of San Marco in Florence, or beside the tomb of Dante in Ravenna. If you think a literary tour and writing retreat like this would suit you, send me an e-mail at tehret99@comcast.net, and I’ll put you on an e-mail list for future announcements. You can see these and more images/details of the Tuscan Literary Tour and Writing Retreat on my Facebook Page: https://www.facebook.com/terry.ehret. These two poems are by Mike Tuggle, who passed away on July 18, 2017. These can be found in Mike’s most recent collection, The Motioning In: New and Selected Poems, published by Petaluma River Press. while the trees all around stand perfectly still. is like a calling-unto, a motioning in. pulls you out of your singular body into your greater one. that maple ablaze with a bright old light. a green foreknowledge of death.